Previous neuroimaging studies have found atypical cerebellar activation in individuals with dyslexia in either motor-related tasks or language tasks. However, studies investigating atypical cerebellar activation in individuals with dyslexia have mostly used tasks tapping phonological processing. A question that is yet unanswered is whether the cerebellum in individuals with dyslexia functions properly during orthographic processing of words, as growing evidence shows that the cerebellum is also involved in visual and spatial processing. Here, we investigated cerebellar activation and cerebro-cerebellar functional connectivity during word processing in dyslexic readers and typically developing readers using tasks that tap orthographic and phonological codes. In children with dyslexia, we observed an abnormally higher engagement of the bilateral cerebellum for the orthographic task, which was negatively correlated with literacy measures. The greater the reading impairment was for young dyslexic readers, the stronger the cerebellar activation was. This suggests a compensatory role of the cerebellum in reading for children with dyslexia. In addition, a tendency for higher cerebellar activation in dyslexic readers was found in the phonological task. Moreover, the functional connectivity was stronger for dyslexic readers relative to typically developing readers between the lobule VI of the right cerebellum and the left fusiform gyrus during the orthographic task and between the lobule VI of the left cerebellum and the left supramarginal gyrus during the phonological task. This pattern of results suggests that the cerebellum compensates for reading impairment through the connections with specific brain regions responsible for the ongoing reading task. 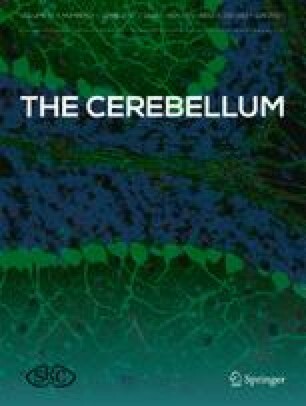 These findings enhance our understanding of the cerebellum’s involvement in reading and reading impairment. The online version of this article (doi: 10.1007/s12311-016-0829-2) contains supplementary material, which is available to authorized users. This work was supported by grants from the National Natural Science Foundation of China (NSFC: 81171016, 81371206, 31571158) and the National Key Basic Research Program of China (2014CB846102). We sincerely thank the children, parents, and schools for their participation and cooperation in our study.